(c) The Victoria & Albert Museum, London. Ganymede. TItled but unmarked versions can be seen in Volume 4. Apollo. 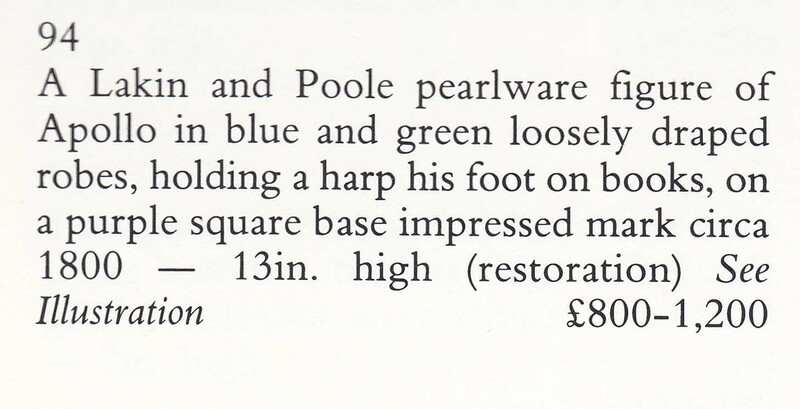 Lakin & Poole made and marked a figure of Apollo, as documented in the following catalog listing (Christie's South Kensington, 11 June 1992), which did NOT include an illustration. 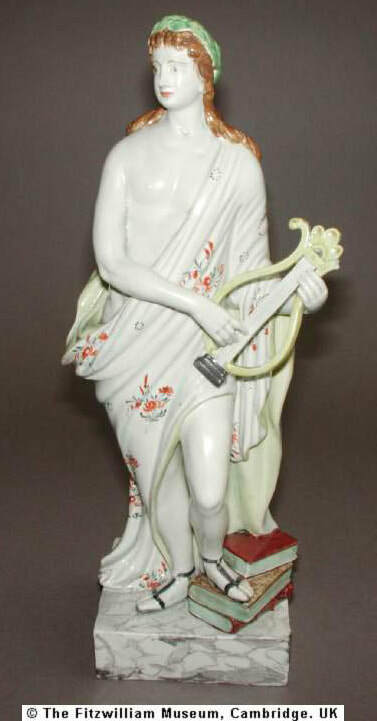 Alongside, is an UNmarked Apollo attributed to Lakin & Poole. The figure of Cupid and Psyche on the left sold at Bonhams in 2005 and was cataloged asa impressed with the Lakin & Poole mark. The figure is more usually found on a typical Lakin & Poole base, as shown on the UNmarked figure alongside. Ariadne. The figure below left is taken from John Hall's "Staffordshire Portrait Figure" and is marked. 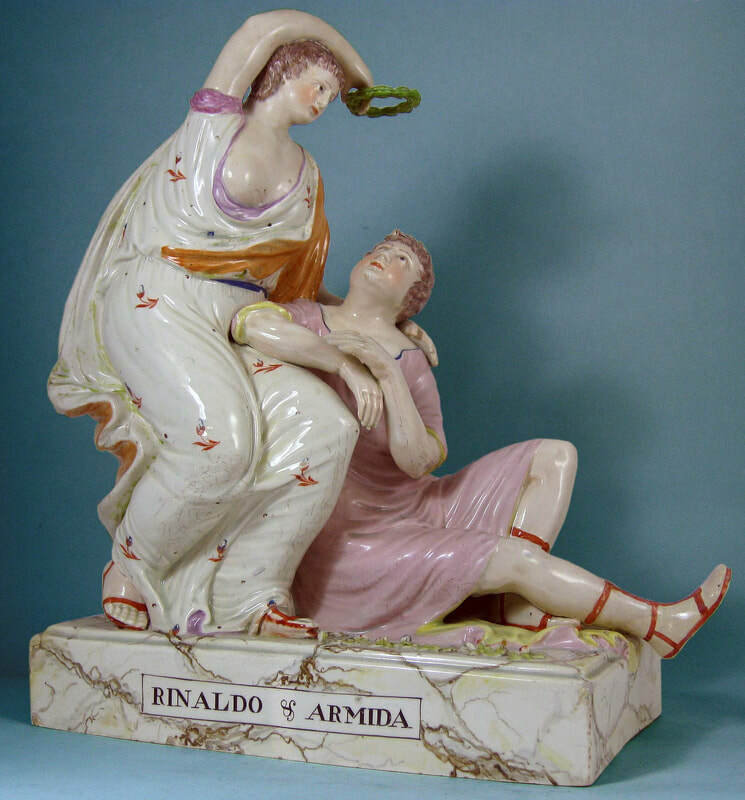 Hall describes the figure as Hygeia, but she is Ariadne, as evidenced by the titled, UNmarked figure alongside. Note that the negative was flipped in printing Hall's book. (c) The Fitzwilliam Museum, Cambridtge, UK. In the Southport Museum, UK. 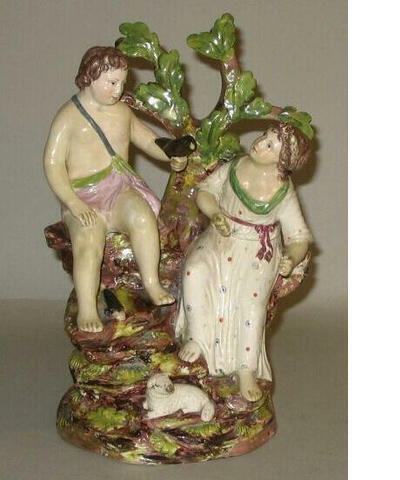 From Halfpenny, "English Earthenware Figures 1780-1840."